Slip on with stretch topline. 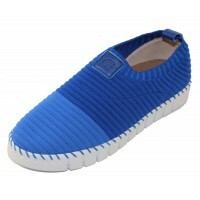 Removable suede covered foam padded insole. Rubber sole.